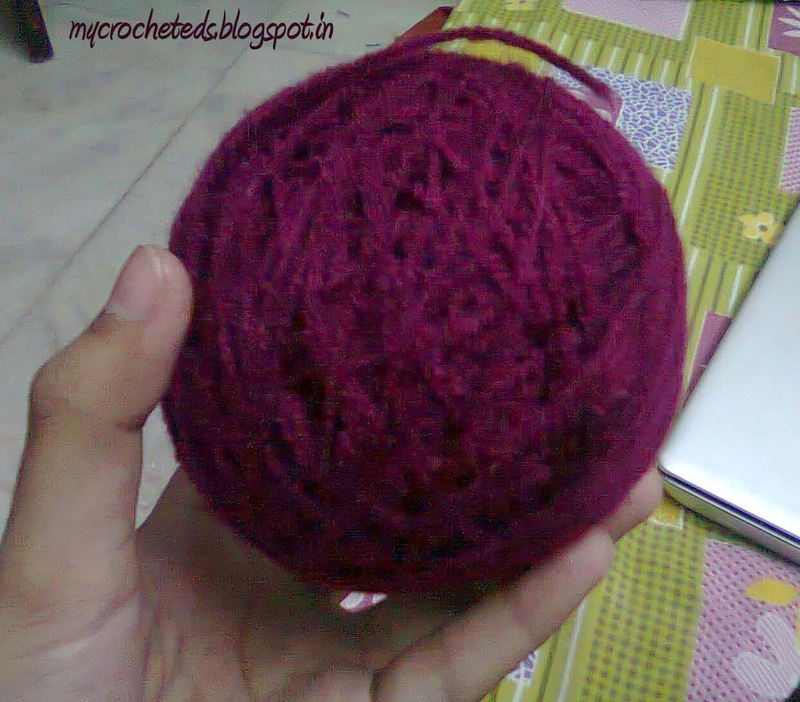 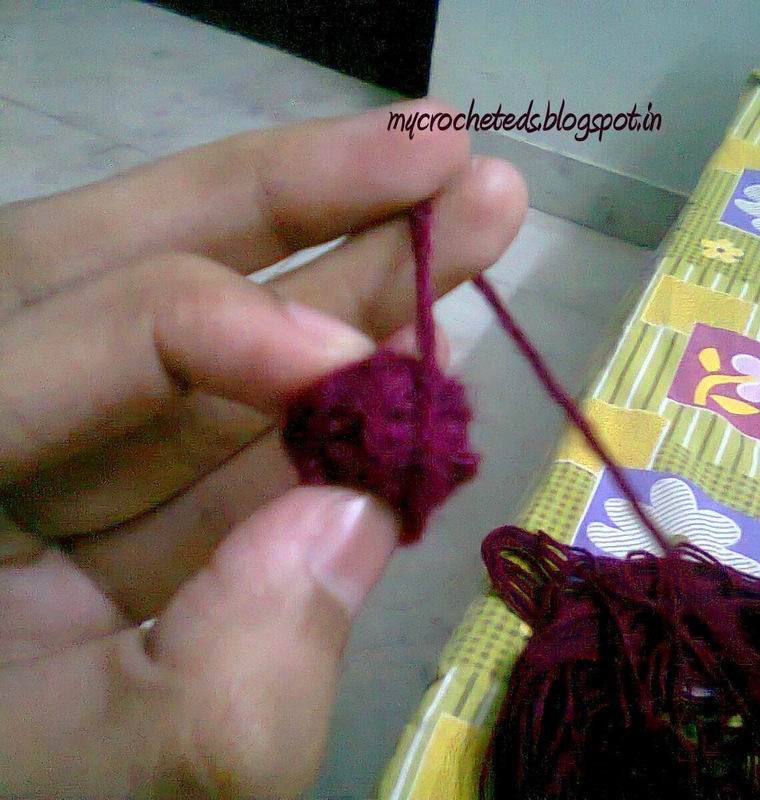 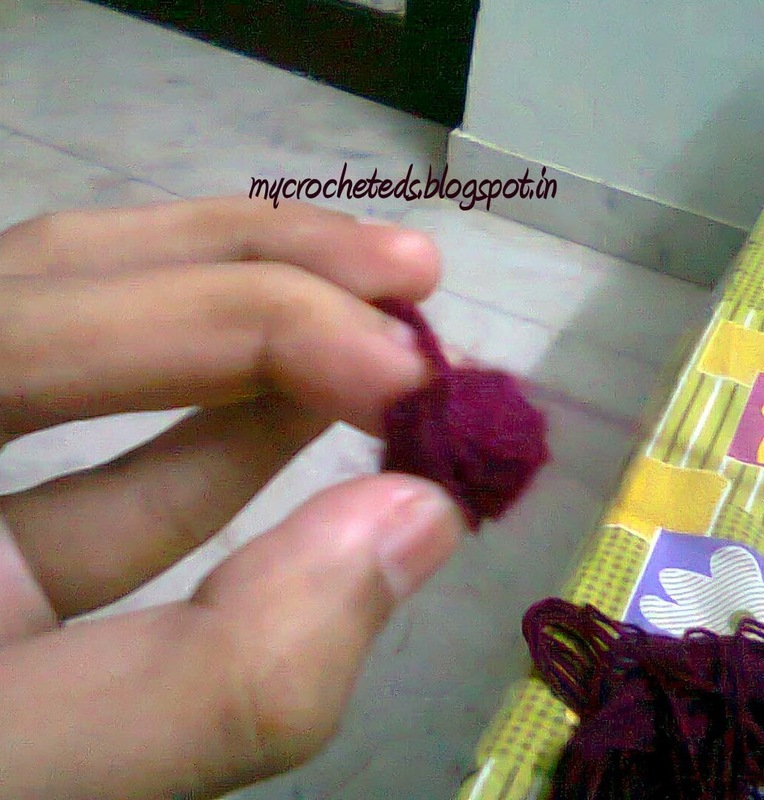 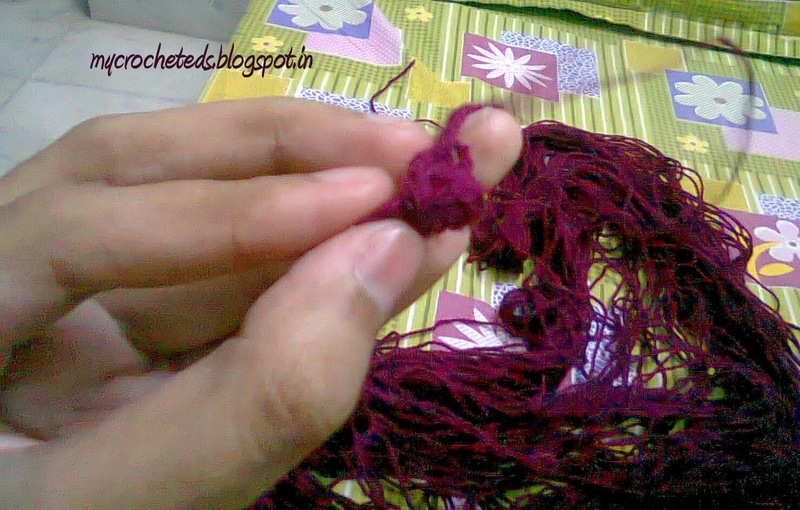 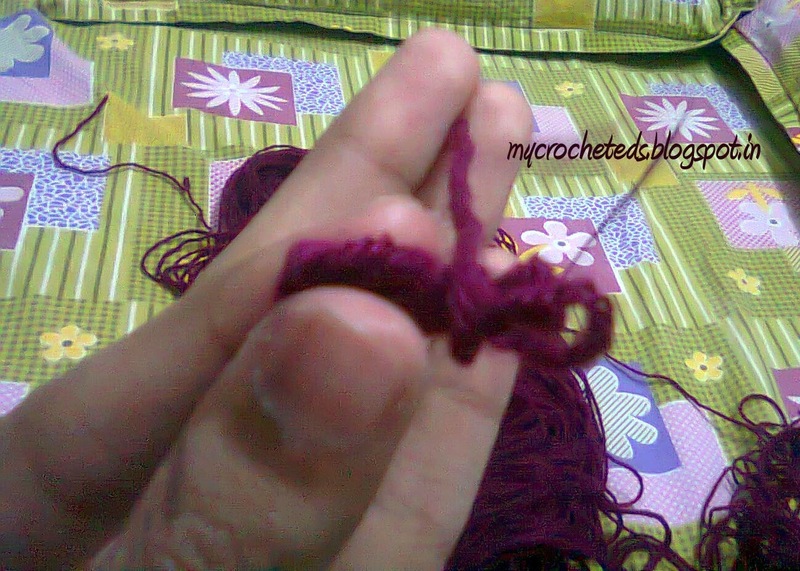 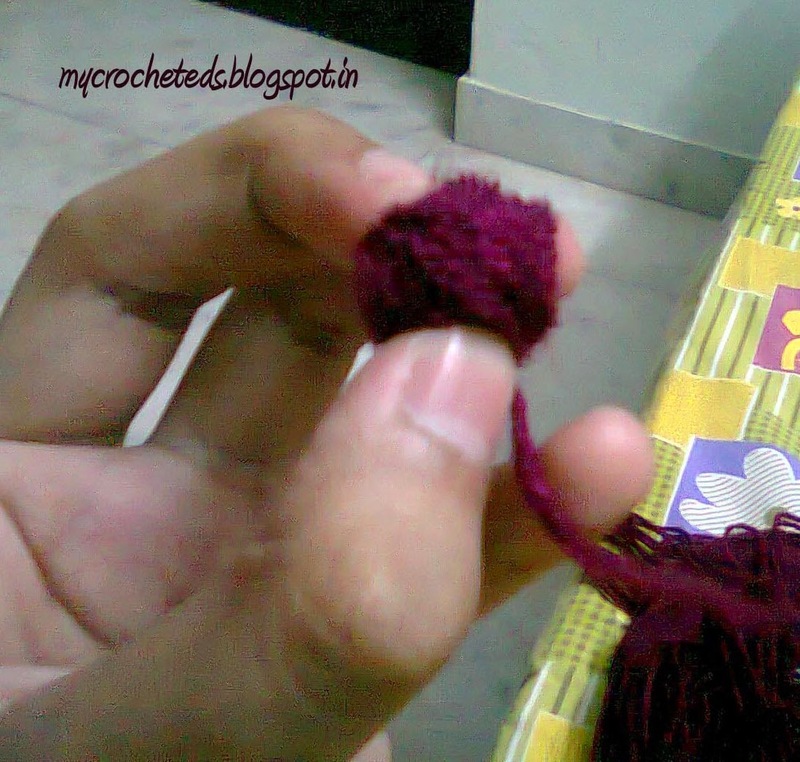 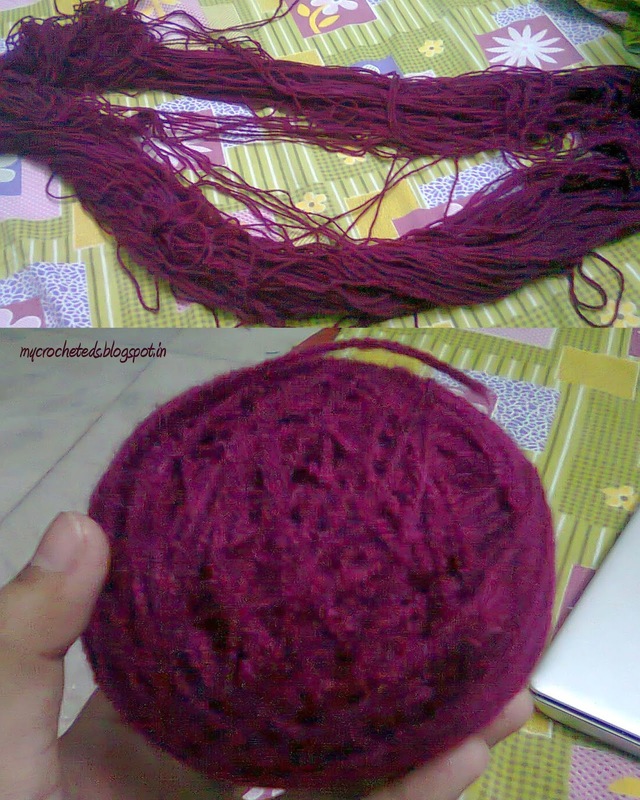 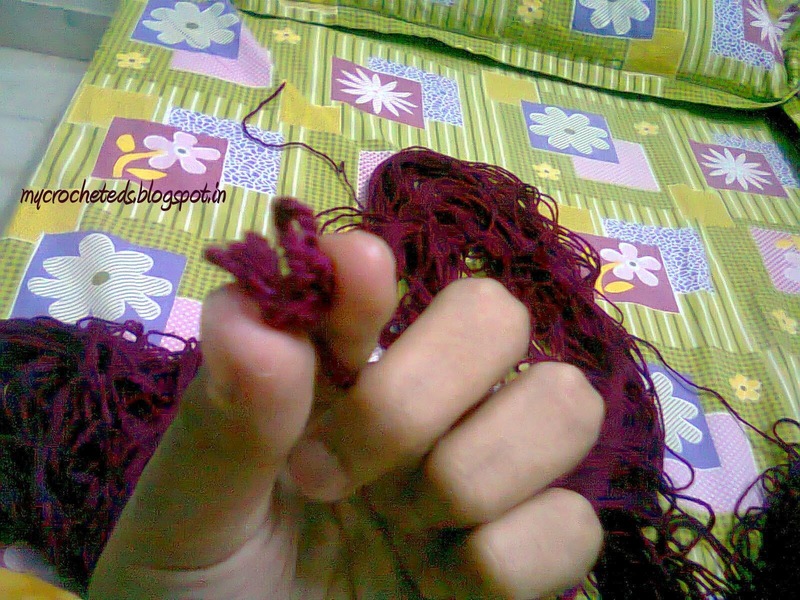 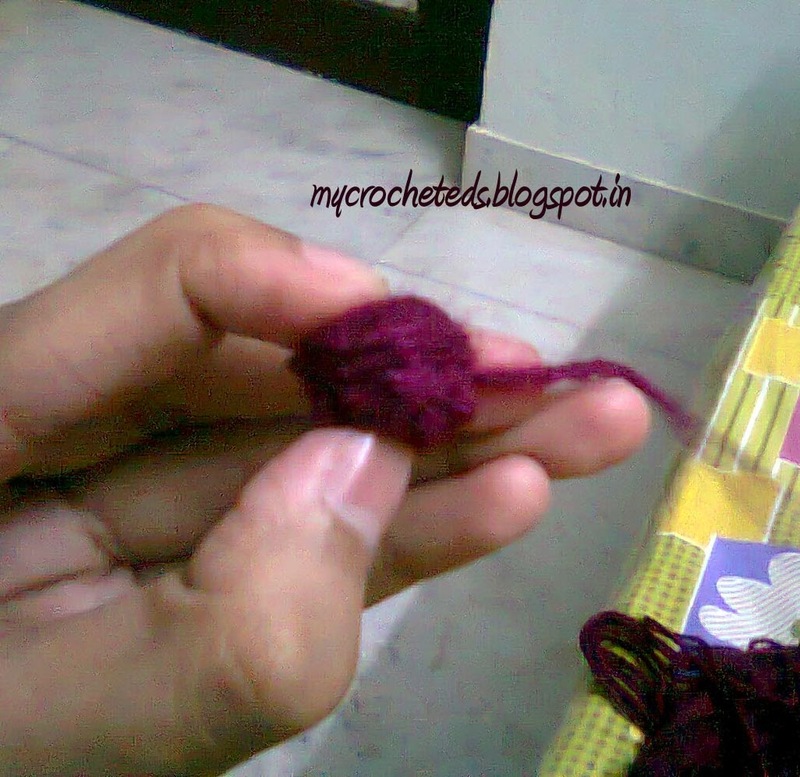 Now you can see a small ball shape forming.. Wrap the yarns horizontally now as in the pic below. 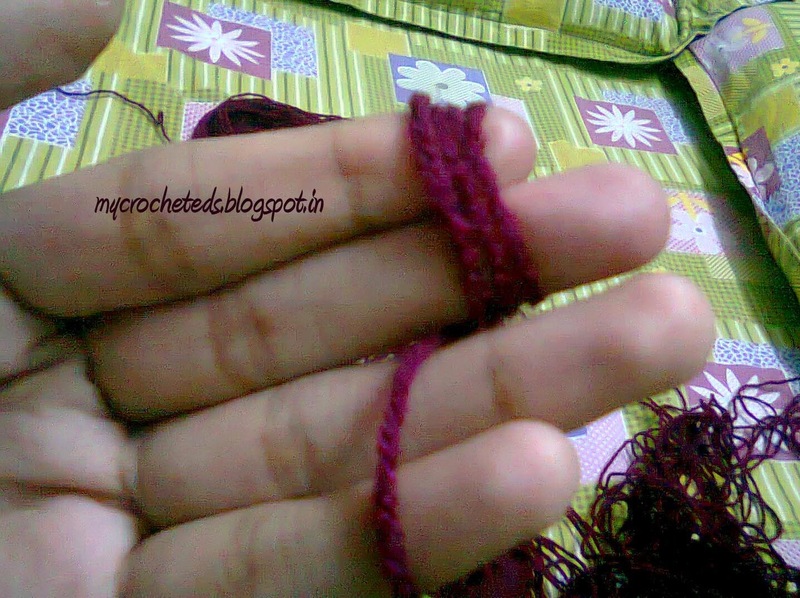 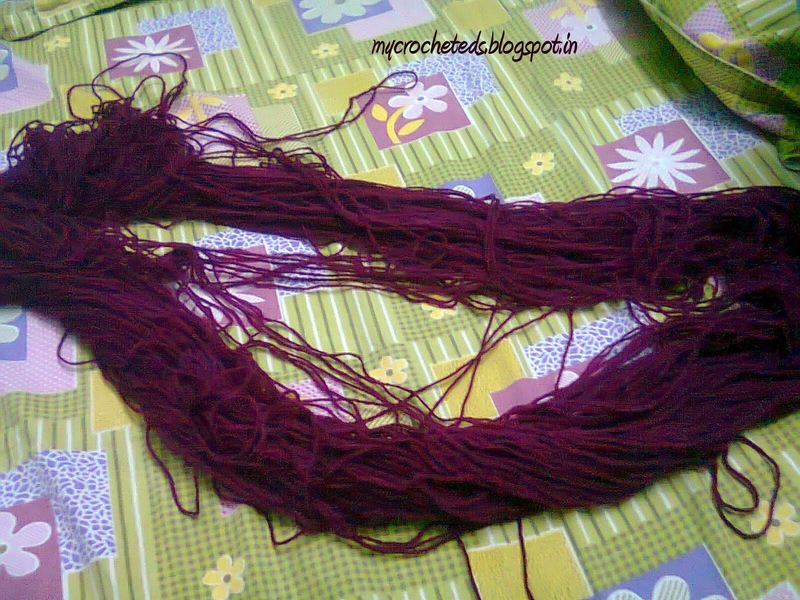 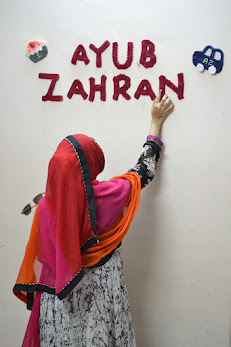 Now wrap the yarn rightsidewise as you see in the pic below..
Now wrap the yarn to the leftsidewise as in the pic below.. 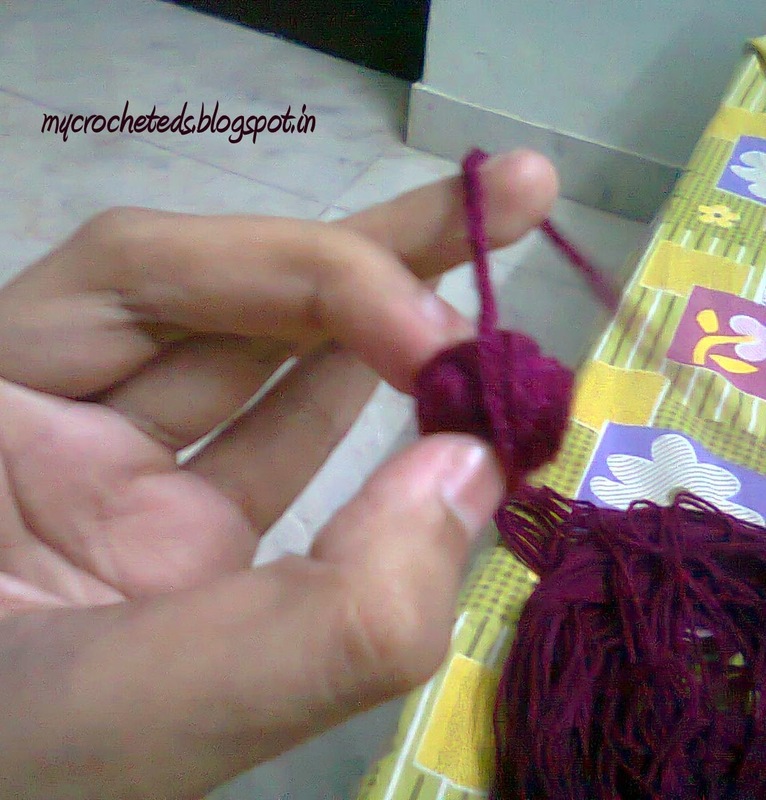 Try it and share your experience with me..